Infrastructure reconstruction? Sure, but how? I am inclined to support Donald Trump’s plan to rebuild our nation’s infrastructure. He wants to spend more than a trillion bucks to remake our roads, highways, bridges, airports and rail lines. The Republican president sounds like a big-spending Democrat with this bold notion. To which I say, bring it on! Here’s the deal, however. How are we going to pay for this? The president and his Republican congressional allies have just pushed through a big tax cut that slashes corporate income taxes and helps many Americans at the top of the income ladder. Corporate leaders are kicking back those tax savings to their employees, which is a good thing. The tax cut is going to explode the federal budget deficit, not to mention add tremendously to our $20 trillion national debt. What price will we pay to finance this huge infrastructure plan that has come forth from the president? Are we going to sacrifice more in social programs? Will there be cuts in Medicare, Social Security? I don’t expect the defense establishment to pay for this infrastructure plan. Trump proclaims his love and admiration for the military. As do I. This is another area of agreement I have with the president. I’ve already mentioned here that I consider myself to be a deficit hawk. 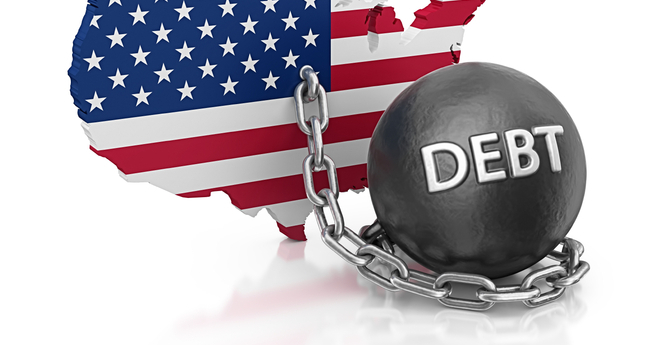 President Barack Obama and Congress managed to pare down the annual deficit during Obama’s two terms. His successor, Trump, now is on the cusp of exploding it yet again. Cutting taxes while at the same time spending more than $1 trillion to rebuild our infrastructure in my mind just doesn’t compute to anything other than adding billions and billions to the annual deficit. I would like to support the infrastructure improvements. It’s the potential consequence of this massive expense that gives me pause. Now it’s the GOP’s fault, yes? I don’t know how this latest federal budget showdown is going to play out. Still, I am wondering about how the president is going to assess responsibility if the government shuts down for the second time in a month. The culprit this time might be Sen. Rand Paul, the Kentucky Republican who has put a hold on the Senate deal that sets a budget for two years. Paul, one of those staunch fiscal conservatives, hates the budget because it spends too much money. Never mind that it is a truly bipartisan effort. So he’s delaying a Senate vote, delaying another vote in the House of Representatives, delaying a budget going to the president’s desk — and getting his signature. Donald Trump was quite quick to blame Democrats for the earlier government shutdown. Will the president be as quick to blame a fellow Republican for this latest government cluster flip? The president endorsed the Senate deal worked out by bipartisan leaders in the upper chamber, even though he had said the previous day he would “shut the government down” if Congress didn’t come up with a deal to stiffen border security. Now he’s getting torpedoed by one of his own GOP allies — because i spends too much money. This ain’t good government, folks. Let’s play a game of “Pretend” for just a moment or two. Pretend you’re one of the millions of Americans working for the federal government. Pretend you’ve invested your entire professional life in service to others; you believe with all your heart in public service. Pretend that you work for the park service, or you are on the medical staff of a Veterans Administration hospital unit. Pretend you answer phones at a government agency and direct callers to the person to whom they want to speak. Pretend you’re wearing a military uniform, that you’re one of about 1.5 million Americans who take an oath to protect the rest of us from our enemies around the world. How in the world do you feel today knowing that your federal government — your Congress and your president — cannot agree on a long-term federal budget that pays you to keep performing your public service? If it were me, I’d be damn angry! I would be upset that I cannot plan for the future. I would be angry that I cannot know for certain whether I’ll be able to stay at my post beyond the next short-term deadline that Congress has just approved. That’s what is staring those millions of public servants in the face. Congress has slapped another Band-Aid on an open wound. It has sent the package to the desk of the president of the United States. Donald Trump will sign it. Then those dedicated public servants — those who serve you and me — get to wait until Feb. 8 for what might occur. That’s when this current budget resolution expires. This is a crock! It’s a travesty in the extreme! The men and women who serve us deserve to be treated with respect and dignity. They damn sure deserve it from the yahoos who serve in Congress. And those clowns won’t forgo their pay. They do not face the prospect of furloughs. They don’t have to worry about their financial future. Oh, no! They’ll just keep on keepin’ on. 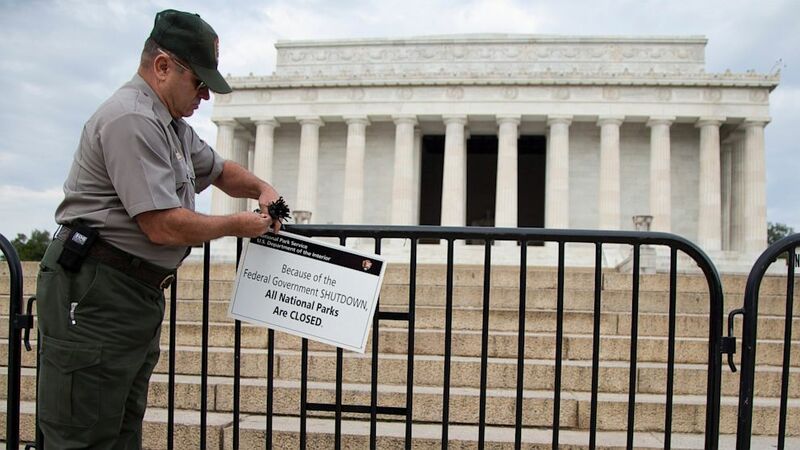 The government is going to reopen. It will stay open at least until Feb. 8. Then what? Will we get to go through more of the same nonsense we’ve just experienced? The millions of Americans who sign up to serve us deserve far better than they’re getting from the policymakers who cannot do their job. 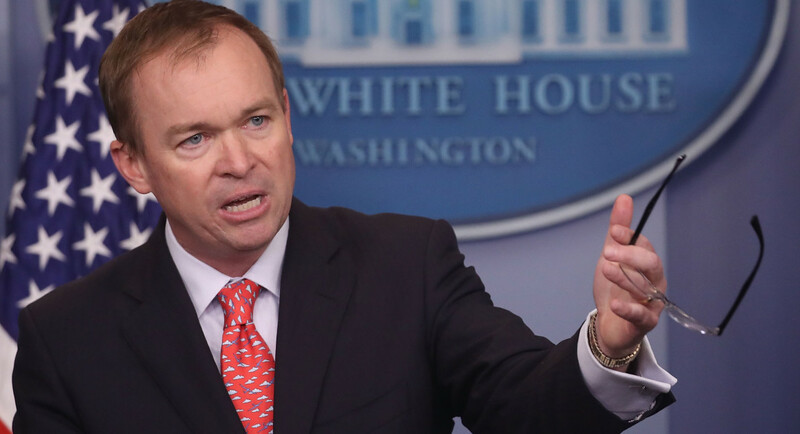 White House budget director Mick Mulvaney has laid down a marker to the U.S. Senate. Lawmakers shouldn’t vote on anything else, he said, until they vote once again on a Republican-authored bill to repeal and replace the Affordable Care Act. There you have it. One branch of government is seeking to dictate to another branch how it does its job. Hold on here, Mr. Budget Director. Mulvaney ought to know better. He served in Congress before Donald John Trump tapped him as budget director. He used to fight on behalf of congressional prerogative, which is spelled out quite explicitly in that document called the United States Constitution. 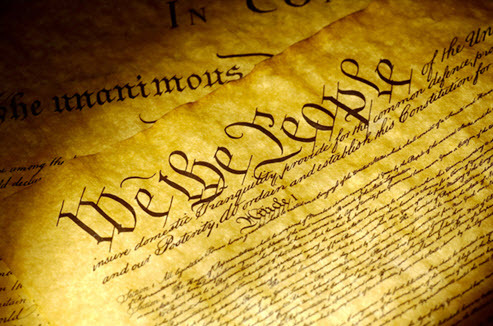 The Constitution, furthermore, does not give the executive branch a single bit of authority over how the legislative branch conducts its business. The term of art for more than two centuries has been that all three government branches are “co-equal.” That means they all have equal amounts of power. One branch cannot bully another branch. Got it, Mick. Do not, though, try to push senators around by laying out their legislative priorities for them. That’s their job. It’s in the Constitution. Really … it is! Trump budget: DOA … of course! Donald J. Trump’s proposed budget brings to mind a couple of thoughts about the president and the campaign he ran in 2016. First, the president really is just another politician despite what he and his supporters said to the contrary during his amazing presidential election campaign. That is, he has made promises he cannot — or will not — keep to those who supported him. Trump promised to leave the social safety net alone. His budget does nothing of the kind. It provides deep cuts to Medicaid, Meals on Wheels and other social programs upon which millions of Americans rely. What’s more, he hits hard at farm subsidies important to rural Americans who turned out by the millions in 2016 to cast their votes for the flashy New York business mogul/reality TV celebrity. His populist message, which he foisted on Americans who were willing to listen to it? Forget about it! His budget provides big tax cuts for the wealthiest Americans. And, oh yes. He also is proposing big spending increases in the defense budget — all while pledging to balance the budget in just 10 years. The document sits at $4.1 trillion. Democrats hate it, quite naturally. Many congressional Republicans dislike it as well. It’s the GOP side of Congress that is more interesting to watch, given the peril they face as the 2018 mid-term election approaches. Both sides are declaring the president’s budget to be “dead on arrival.” That’s standard operating rhetoric for members of Congress, no matter the party affiliation of the president who sends them a budget. This much is clear: Donald Trump is going to get yet another real-time lesson on how the federal government works. As the saying goes, the president proposes, while Congress disposes of budgets. No one is talking about him this morning. The political story line of the day — and perhaps for the rest of the week — will be the epic crash of U.S. Sen. Ted Cruz’s Republican Party primary presidential campaign and the pending nomination of one Donald J. Trump as the party’s next standard-bearer. But there is Ohio Gov. John Kasich, all alone in the corner, wondering what in the name of political punditry he’s got to do to get anyone’s attention. As the co-founder of RealClearPolitics, Tom Bevan, has noted: Kasich is the one Republican candidate who polls ahead of Hillary Clinton — but the GOP voter base is rejecting him. From my vantage point out here in Middle America, it appears Kasich’s dilemma serves as a fitting metaphor for the demise of what we used to know as the Republican Party. Kasich is a traditional Republican. He’s been a player in the “establishment” for more than two decades. He served in Congress and became a party leader. He chaired the House Budget Committee and worked with Democrats and fellow Republicans to balance the federal budget. That’s a big deal, dude. However, he’s getting zero traction — none! — on that record. The GOP voting base is now turning its attention and showering its love on a guy who’s got zero government experience, no philosophy and seemingly not a scintilla of grace. Those voters are angry. So they’re going with the guy who shares their anger. Can this guy govern? No. What the hell. That doesn’t matter. The Grand Old Party as we used to know it appears to have died. Its demise wasn’t entirely peaceful. It’s being replaced by something that is still taking form. One of those formerly important Republicans — Gov. 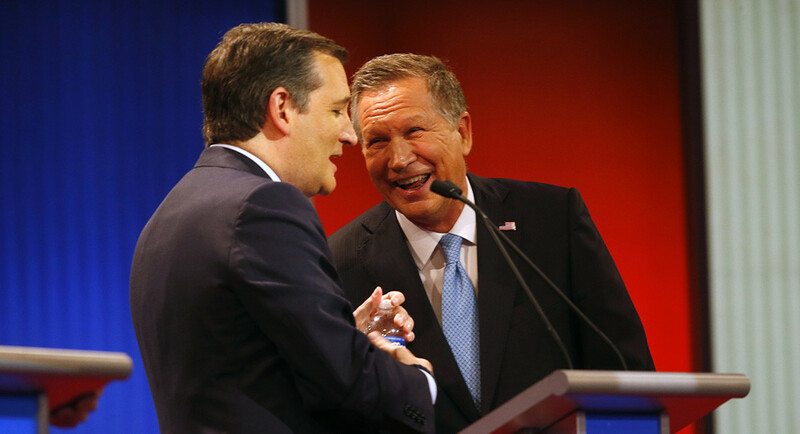 Kasich — is now among its casualties. Wipe out national debt in eight years? Wow! The list of Donald J. Trump’s idiotic statements has gotten so long it’s becoming almost impossible to give all of them the attention they deserve. This one has flown largely past many in the media and the so-called Chattering Class. I’ll admit to being a bit slow on the fiscal uptake on this one. 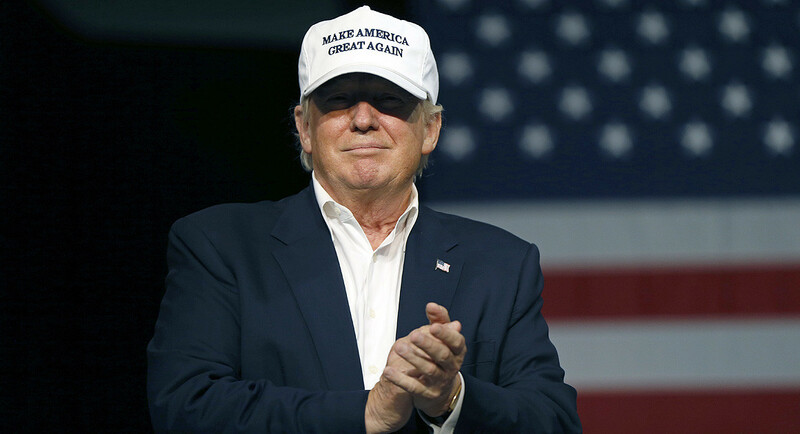 The Republican presidential frontrunner recently vowed to eliminate the national debt in eight years. The debt is now about $20 trillion. How does this reality TV celebrity and real estate mogul-turned-politician propose to do this? He also intends to cut everyone’s taxes. He vows to rebuild a military complex he says “always loses” and has been “decimated” by the current president. He’s going to round up 11 or 12 million illegal immigrants and send them back to wherever they came from. He also says he won’t do anything to reform Social Security or Medicare. Yet he says he — yes, he alone — will eliminate the national debt in eight years. The way I figure it, Trump would have to veto every single spending bill that Congress approves. Then he would have to be sure Congress upheld every one of them. 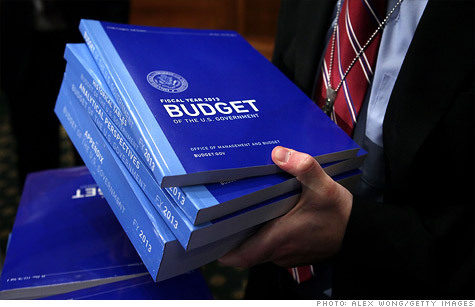 The annual federal budget totals about $4 trillion. So, if the government doesn’t spend another nickel for the next eight years, it could save $32 trillion. Are we on board with that? Ladies and gentlemen of the military, in the longest-shot possibility that Donald Trump gets elected president this fall, you should start preparing to fight for your country for free. This man’s idiocy is utterly boundless. Who’s ‘qualified’ to be president? I am now going to weigh in on who I believe is qualified to become the 45th president of the United States. The qualification issue has arisen in the Democratic Party primary. The candidates keep yapping about the other’s qualifications, or lack thereof. First, let’s stipulate the obvious: They’re all technically qualified, even Rafael Edward Cruz, the Canadian-born U.S. senator from Texas who earned his constitutional qualification by virtue of his mother’s U.S. citizenship. No question about any of the others in that regard. Hillary Rodham Clinton is the most qualified. She served as first lady during her husband’s two terms as president. She was elected twice to the U.S. Senate from New York. She has served four years as secretary of state. She ran for president in 2008 and won many Democratic state primaries, including the Texas primary, that year. She knows how government works and has a good knowledge of the limitations of the office of president. She once was a lawyer, after all. John Kasich is a very close second. The Republican Ohio governor has a record as a member of Congress that should make him proud. He helped balance the federal budget as chairman of the House Budget Committee. He exhibits a good dose of the “compassionate conservatism” touted by former President George W. Bush. He reaches across the aisle and knows to compromise without sacrificing his principles. He’s developed a solid record as Ohio governor. Kasich, too, understands government and its limitations. Ted Cruz comes in a distant third. This one really is nearly a tossup with the next person. At one level, he might be the scariest candidate running for the White House. This freshman GOP U.S. senator keeps invoking theology, apparently disregarding that the Founding Fathers worked real hard to create a secular government. Cruz also seems too quick to “carpet bomb” Islamic State targets, which quite naturally is going to produce civilian casualties in direct contradiction to military policies established by two presidents, one Republican and one Democrat. Bernie Sanders is fourth, but barely so. He’s served in Congress a lot longer than Cruz. However, his campaign for the Democratic nomination has begun to bore me. Why? He says the same thing over and over: Wall Street banks bad; wage inequality preys on women and minorities; we need to make the “top 1 percent” pay more in taxes. Foreign policy? He remains strangely uninterested in talking about that. Donald J. Trump is patently, categorically and unequivocally unsuited for the presidency. Sure, he’s a natural-born American. So … he’s “qualified.” But he is clueless about the limits of the office he seeks to occupy. He has vaulted to the top of the GOP heap by appealing to Americans’ darker instincts. His insults go so far beyond the pale that many of us have run out of words to describe them. Read any transcript of the leading Republican candidate’s answers to direct questions and you are going to be blown away by his absolute incoherence. While the Republican presidential horde was cackling Tuesday night in Las Vegas about how much better they could govern the country than the man who’s been doing it for nearly eight years, GOP and Democratic congressional leaders were hard at work. They produced a budget to fund the government well into 2016. Republicans got a lot of what they wanted; Democrats got some of what they wanted. Republicans control Congress, so that’s to be expected. House Speaker Paul Ryan, R-Wis., announced a tentative deal that spends $1.1 trillion through most of the upcoming election year. It’s not a perfect deal. Then again, when you have two parties grappling for their preferences, one cannot expect perfection. One gets what one can get. You seek to make the best of it and then you line up and support a deal that does what it’s designed to do: run the massive federal government that is supposed to serve the people who pay for it — that you be you and me. One of the more intriguing elements of the deal is that it ends the nation’s ban on exporting oil. Fascinating, yes? We’re now the world’s No. 1 producer of petroleum, so we have a surplus of what we could call “Texas Tea” to share with our trading partners and allies. We’re not out of the woods just yet. The government is scheduled to shut down tonight. Leaders from the both parties have to engineer yet another stop-gap measure that would keep the government functioning through Dec. 22. In the meantime, they all can work out the details of getting this bigger deal done. They need to wrap it up before they all head out of town for Christmas. Get busy. Go home. Spend some time with your loved ones. Then get back to work. We pay you folks to govern. A congressional breakthrough … maybe? A single dinner involving two political leaders of opposing parties likely doesn’t signal much all by itself. It might portend a potential thaw in relations on Capitol Hill. I reiterate … it might. Newly elected House Speaker Paul Ryan, R-Wis., invited House Minority Leader Nancy Pelosi, D-Calif., to his Capitol Hill office for a two-hour get-together. They had a meal in the office and talked a little shop and got to know each other a little better. It might be a precursor to some actual progress in Congress between political leaders who’ve been fighting each other — often using some intemperate language to describe the other sides’ motives and intentions. Democrats and Republicans are battling at the moment over a new budget. They did manage to cobble together a five-day stopgap measure that keeps the government running … but only for a short time. More bargaining is due in the next few days for everyone to agree on a $1.1 trillion federal budget that funds the government through most of next year. Oh yeah. It’s also an election year. Ryan and Pelosi reportedly don’t know each other well. This meal in Ryan’s office was billed as sort of an ice-breaker. Where do we go from here? That remains anyone’s guess. Congress, though, needs to figure out a way to assert its constitutional responsibility to actually govern. There’s been too much fighting between the parties, not to mention between the majority party — that would be the Republicans — and the White House. The president must share responsibility in this ongoing inability to find common ground. However, just as members of Congress want to take credit for the good things that happen, they also need to take responsibility for the negative occurrences. 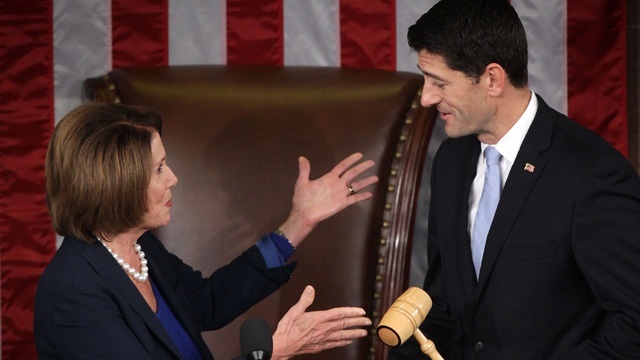 Ryan and Pelosi likely aren’t going to become best friends forever — aka BFFs. A dinner, though, well might set the stage for a new working relationship that restores the concept of good government to Capitol Hill.